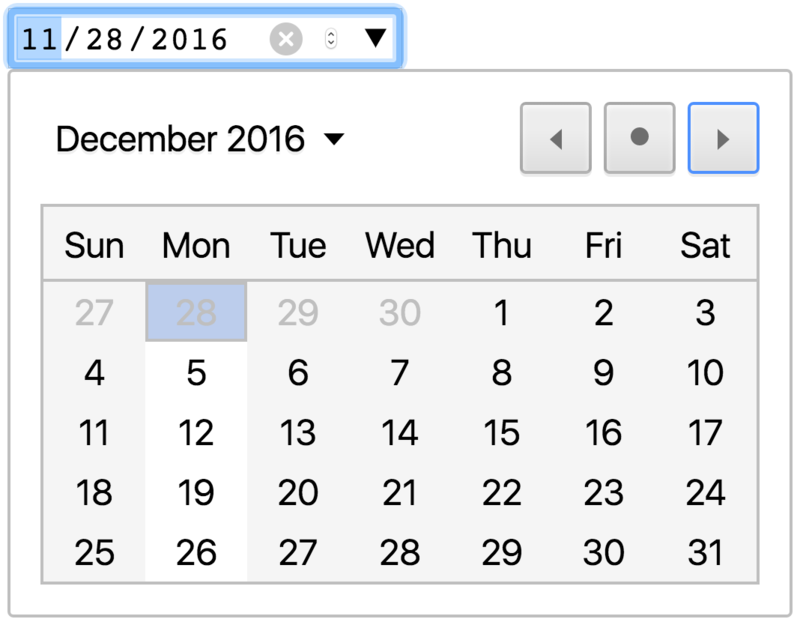 The date/timepickers are currently locked behind a flag in Nightly. 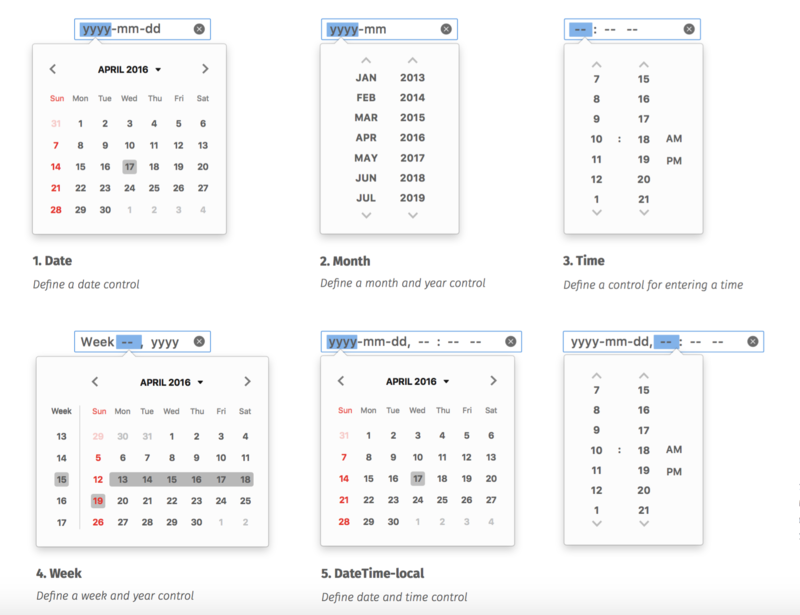 Change dom.forms.datetime in about:config if you want to try them out already. The week one doesn’t seem to be implemented via the dom.forms.datetime settings.